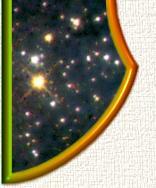 UFO Message Board - Aliens - Extraterrestrials and Space. NOTE: sometimes the Lycos Guestbook, Votes, Links, and the other message boards are off-line or don't show up because their servers get over loaded. It is rare and Lycos said "we are adding more servers and software". We have our own free message board for you to chat or share links and information. Also you will find a link just below that for the Yahoo.com UFO and Extraterrestrial related message board. 1. Our private Web site UFO related message board is here. 2. The Yahoo! public UFO related message board is here. Also keep an eye on our UFO and Alien links page. Have YOUR VOTE about UFOs and Extraterrestrial Aliens here. Add YOUR LINKS to our free UFO links page here.